Recently Motorola Launched Android 5.1 Update for Motorola Moto X 2nd Generation and seems that Motorola is all ready to launch it for other Motorola devices . 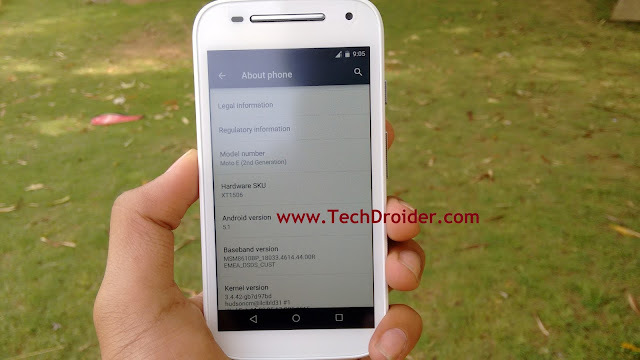 Previously Moto G , Moto G 2nd Gen has been spotted running on Android 5.1 and now Motorola Moto E 2nd Generation is spotted running on Android 5.1 Lollipop . The picture was given by our follower , who's friend works at Motorola . According to him Motorola is all set to launch 5.1 for more devices . Seems Motorola is working hard to give updates to their Devices .